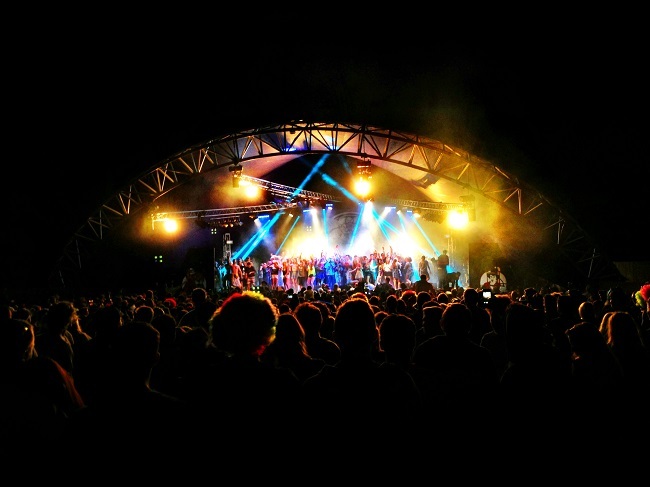 For a festival that spent years on the cusp of hugeness, Standon Calling has come far of late. Its folklorean tales of birthday round-the-campfire sing-a-longs for founder Alex Trenchard are now way old news, so much so that perhaps half of the people here wouldn’t know who Alex was. 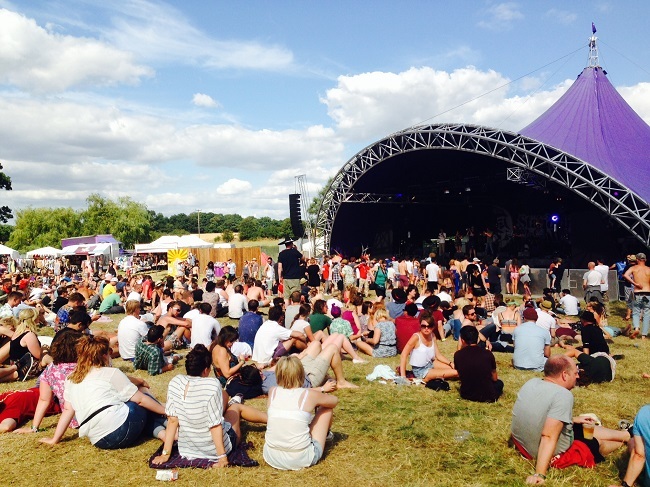 Now a small destination festival for London’s workers, home country types and those after pre-Secret Garden Party hype, Standon Calling has made it to ‘proper’ festival status – complete with alcohol limits and cashless wristbands. The campsite has spread up a hill, and the organs of the festival itself have changed to make the site unfamiliar to seasoned eyes. For a couple of years, this wasn’t the best news. Sponsored tents from Jack Wills appeared, and the festival became Main Stage-y and at odds with its original buzz band, artisan status. But for 2014, the growing pains had somewhat worn off and the festival felt happier in its new larger bones. For the first time, a proper campsite entrance complete with some form of Latin pole structure (this year’s theme, Lost in Latin America, was a nice concept but not accessible enough to warrant interesting costumes like previous years) welcomed punters on site, which itself had become more exploratory again with a new ring of stalls and tents skirting the Big Top stage. Happy Hookahs and Hopper House particularly gave this area its own festi-character. The newly positioned Big Top stage also made good use of an area that used to be public camping. And for a festival that bands around its musical eye (Florence, Maccabees, Mumford all played here once), 2014 was a stellar curatorial: Say Lou Lou, East India Youth, Peace, Eliza & The Bear and dream-electro riser Felon made light work of their sets, leaving heavy imprints on the Standon “you saw it here first” lists and proving the fest has both an eye for acts and timings, and a namesake worthy of bands like the DIY-lauded Peace turning up to. The Main Stage’s headliners on the other hand lilted between vintage classic and modern day has been. Public Enemy perfectly pleased Public Enemy fans, of which there were a lot, and Frank Turner’s inoffensive political jibes on Friday made a community out of the Lordship; but Sunday night’s headliners Maximo Park riffed through a glory days set of past it hits that only 22 to perhaps 32-year-olds at a push related to. The difficulty wasn’t that their set – or sound – was bad; their recent fifth album gained heaps of praise – but that their lack of recent public reach left them with little headlining magnetism. Like Radiohead rocking up to a Spice Girls gig and pouring their hearts out, it was a tad inappropriate and kind of awkward. 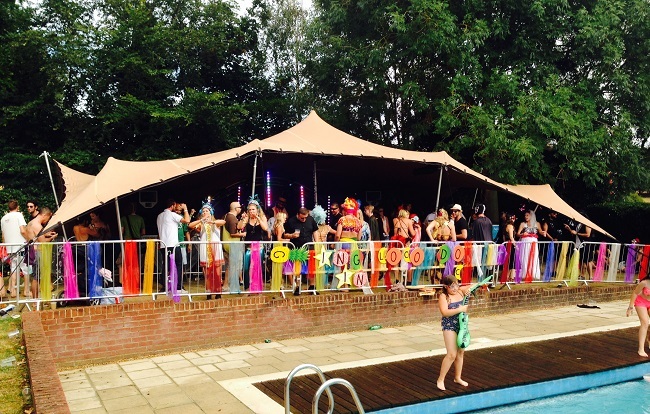 The odd wheezy moment aside, Standon is still the most unique (growing) boutique fest on the circuit: it’s the only festival in the country with a legit swimming pool (the owners’ own), and a Cow Shed turned club on site, which drops the hits in a truly remarkable setting. It’s lashed yearly in tropical stripes and open ’til the cows come home, which I incidentally hope they never do when the festival’s on: the Standon Lordship might be in the depths of the countryside, but on festival weekend it’s more like a city in here.